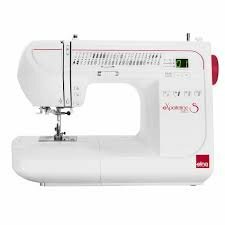 The new eXperience 540S brings a fresh and inspirational addition into your sewing world. It can handle any fabric - no matter how tough. So start right here, right now, and create your own personalized wardrobe with the stitches and techniques that you love. Customize it, recycle it, transform it any way you want; your Elna adapts to every mood and every style.